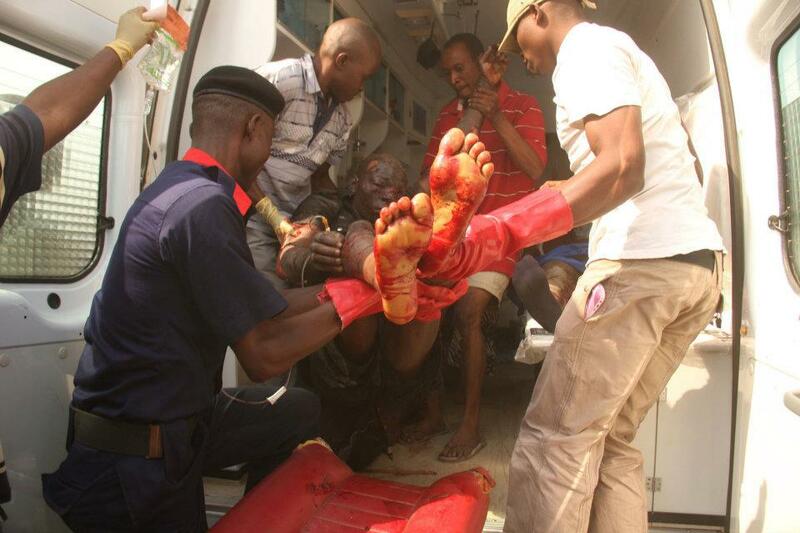 MUSLIM BOKO HARAM’S MURDERING OF CHRISTIANS ON THE INCREASE………. – The Tundra Tabloids……. MUSLIM BOKO HARAM’S MURDERING OF CHRISTIANS ON THE INCREASE………. Religion of peace in action. MAIDUGURI, Nigeria — Police discovered the body of a 79-year-old Christian woman killed in northeast Nigeria, with a note in Arabic left on her chest reading: “We will get you soon,” a witness said Thursday. The slaying raises religious tensions in Nigeria as a radical Islamist sect increasingly targets Christians in its bloody attacks. While police said they knew of no immediate suspects in the killing, witnesses blamed the attack on the sect known as Boko Haram, which has been blamed for killing at least 305 people this year alone, according to an Associated Press count. Previous Post Previous Post CASE BY ATHEIST DRESSED AS MOHAMED ATTACKED BY MUSLIM THROWN OUT BY SHARIA COMPLAINT JUDGE……..
Next Post Next Post MUSLIM WHO THREATENED TO BEHEAD THE POLICE IS JAILED…….